Most instructors who assign any kind of research and work with first-year students have probably spent time explaining good search practices. Some courses, especially those in the humanities and specifically those in composition, often dedicate a day or more of each semester to walking students through the process. 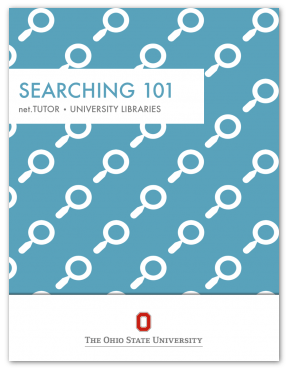 Now, the Ohio State’s library department has created a fantastic, free resource for students: Searching 101 is a crash course in search engine mastery using practice search terms, quiz questions, and simple, pleasing images. First, let’s revisit the cost — free! While the internet is full of resources that are available at no cost, they usually come with ads, require wireless connection, and are limited to text and images. This is a full guide for learning the research process developed by library professionals for student purposes. 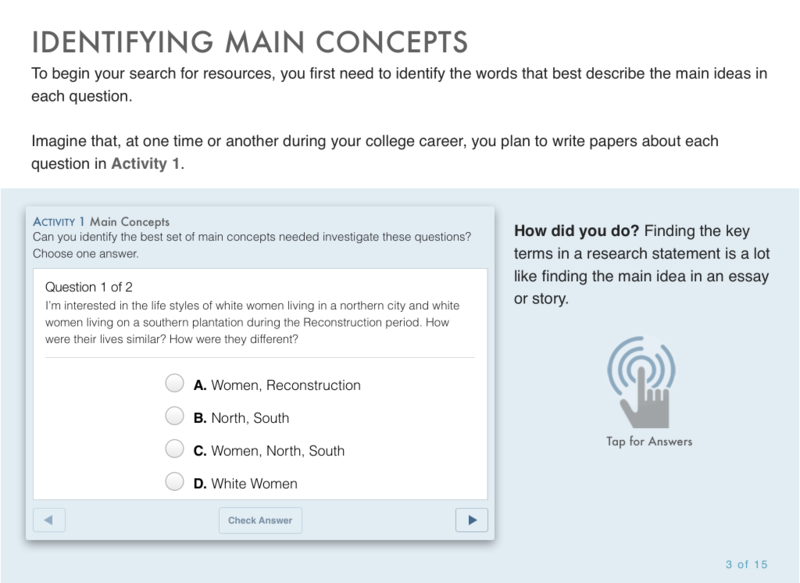 Once downloaded, students can access this text anytime they need, regardless of connection. Wonderful design. At fifteen pages, not a word or widget was wasted, but nothing is missing either. The design of this book is really purposeful, seamless, and effective. The visual representations are clean and clear as well. Practice, not just instruction. 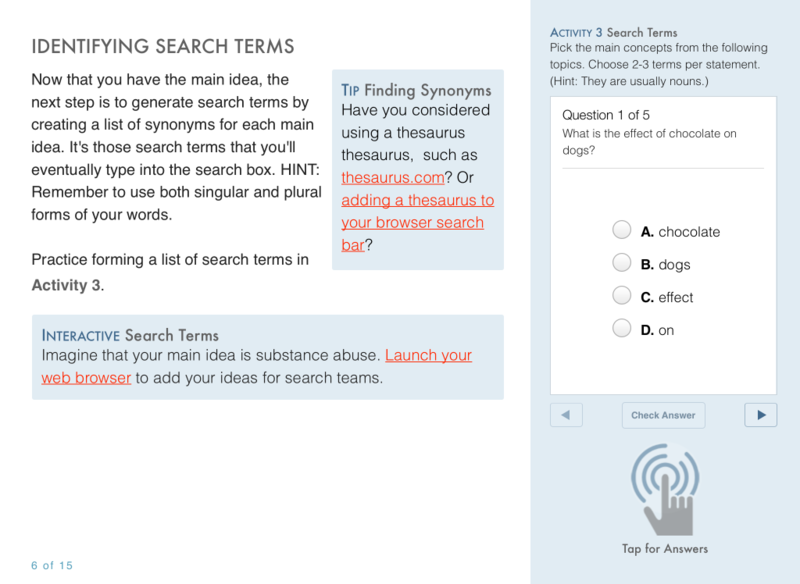 Each step of the search process is first explained them demonstrated with widgets that give students the chance to check their answers. Readers are given situational prompts throughout the book and asked to choose the most effective action. Not only can they practice, but the book is filled with pop-up answers that will help them understand why their choices worked or didn’t work. The book file type is an iBook, meaning it can be read on an iPad or Mac. If you want to review the book but don’t have an Apple device, visit any of the Digital Unions to browse there. The book is a wonderful guide from the very first step — determining the research topic. For more information on digital publishing at OSU, visit our Resource Center. Posted by koger.13@osu.edu at 3:31pm Bookmark the permalink.